President Bill Clinton is back in the news advocating the end of sanctions on the Castro regime and a call for cooperation wherever possible with the dictatorship. The current policy on Cuba, despite the din of critics, is a reasonable and effective policy that has served U.S. interests better than the constructive engagement policy practiced by Europe and Latin America. The policy that currently exists is not the result of a non-existent Cuban exile lobby but the result of the actions of the Castro dictatorship over the past 55 years. The most recent episode involves the Castro regime smuggling weapons (including rockets and MiGs) to North Korea in 2013. Policy makers in Washington DC, who in the past shared intelligence with Manuel Noriega on drug trafficking, now want to share information with the Castro regime on drug trafficking despite a well documented history of the dictatorship's relationship with drug traffickers. 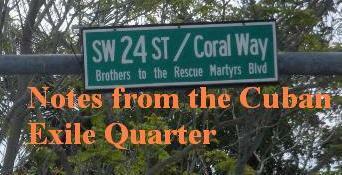 Furthermore the anti-American nature of the Castro regime could best be demonstrated by its response to the Carter Administration's human rights based foreign policy in the 1970s that cooled relations with military dictatorships in Latin America. Instead of warming relationships with the United States, despite the intentions of President Carter the Castro regime developed a close working relationship with the military junta in Argentina that before its end in 1983 would disappear 30,000 of their own citizens in that South American country. Now the advocates of "normalizing" relations with the Castro regime point to the United States normalizing relations with the dictatorships in China and Vietnam. What these advocates fail to mention was the important role that President Clinton played in de-linking human rights concerns from trade with China. Finally, these advocate overlook the continuing dire human rights situation in both China and Vietnam. 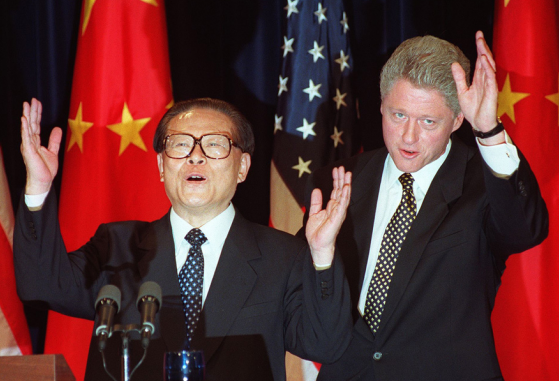 While engaging in the public debate today over U.S. Cuba policy it is also worthwhile to review what happened during the Clinton era with regards to U.S. China policy. Boeing, which donated millions to both Democratic and Republican candidates over the years, is the parent company of Loral Corporation. In 1993, Loral sought and received a waiver to launch Loral/Hughes satellites from China. Loral CEO Bernard Schwartz has personally donated over $1M to both parties. Boeing also owns McDonnell-Douglas which in 1994 made an agreement with China to open a parts factory in Beijing. Boeing, who sold nearly 70% of the airliners China purchased in the 1993 to 1995 time frame, selected former Clinton administration Defense Secretary William Perry for its board of directors shortly after he left the Pentagon. Hughes Electronics Corporation, a subsidiary of General Motors (GM) and co-developer of satellite systems with Loral, also has dealings with China and worked to maintain MFN for the PRC. Hughes Electronics Chairman Michael Smith also serves as vice Chairman of the Aerospace Industries Association, a long time supporter of MFN status for China. Supposedly normalizing relations with the dictatorship in China would advance U.S. economic and strategic interests while at the same time improving human rights standards in China. What is the record? Make no mistake: This is a geopolitical earthquake with a high reading on the Richter scale. Throughout history, political and military power have always depended on economic power. Britain was the workshop of the world before she ruled the waves. And it was Britain’s relative economic decline that preceded the collapse of her power. And it was a similar story with previous hegemonic powers such as France and Spain. This will not change anything tomorrow or next week, but it will change almost everything in the longer term. We have lived in a world dominated by the U.S. since at least 1945 and, in many ways, since the late 19th century. And we have lived for 200 years — since the Battle of Waterloo in 1815 — in a world dominated by two reasonably democratic, constitutional countries in Great Britain and the U.S.A. For all their flaws, the two countries have been in the vanguard worldwide in terms of civil liberties, democratic processes and constitutional rights. President Carter normalized relations between Washington and Beijing on January 1, 1979. China's one child policy that systematically violates the reproductive rights of all Chinese was first applied in 1979. The conventional belief then with regards to the Soviet Union and China, as with Cuba now, was that normal relations would lead to a greater opening for human rights and a peaceful transition to democracy. The opposite has been the case. In the Soviet Union confrontation and economic isolation led to a peaceful implosion of the regime. In China the policy of trade and political engagement has led to a thriving economic system under Communist party control and modernization and expansion of both the military and police state to continue repressing the Chinese people. Ten years after Carter succeeded in normalizing relations with the communist dictatorship in China that same regime on June 4, 1989 engaged in a massive crackdown killing thousands of Chinese students and workers who had been non-violently protesting in what became known as the Tiananmen Square massacre. One month later on July 4, 1989 George H.W. Bush sent a secret high level delegation to meet with the Chinese regime and join with them in celebrating American Independence while downplaying pro-forma criticisms made by the Administration. Candidate Bill Clinton would critique this de-linkage of human rights and commercial interests only to intensify the practice during his own presidency. This reached a symbolic low point in 1996 when the General responsible for the 1989 massacre was received at the Clinton White House with a 19 gun salute. The bipartisan consensus on China is one that all Americans should be ashamed of. It has not aided human rights in China but conspired against it. In 2010, the Norwegian Nobel Committee awarded the Nobel Peace Prize to Chinese prisoner of conscience, Liu Xiaobo. Communist China, like the Nazis and the Soviets before them, created its own honor: the Confucius Peace Prize. Fidel Castro is the recipient this year. The techniques used in SERE school, based, in part, on Chinese Communist techniques used during the Korean war to elicit false confessions, include stripping students of their clothing, placing them in stress positions, putting hoods over their heads, disrupting their sleep, treating them like animals, subjecting them to loud music and flashing lights, and exposing them to extreme temperatures. It can also include face and body slaps and until recently, for some who attended the Navy's SERE school, it included waterboarding. Forty two years after Nixon began the process of normalizing relations with Communist China finds the United States economically in second place to a militarily modernizing China whose human rights record remains dismal but finds U.S. officials copying Chinese communist torture methods. But perhaps the biggest reason why democracy's magnetic power has waned is the rise of China—and the belief of its would-be imitators that they too can create a dynamic economy without easing their grip on political power. In the political rhetoric of many authoritarian governments, fascination with copying China's trick can clearly be discerned. The policy of the United States in China has not only been absurd but extremely dangerous for the future not only of the American people but of the world. Economically empowering a genocidal communist dictatorship while disengaging from human rights concerns is a recipe for disaster that unfortunately we are all going to get a taste of thanks in large part to President Bill Clinton.